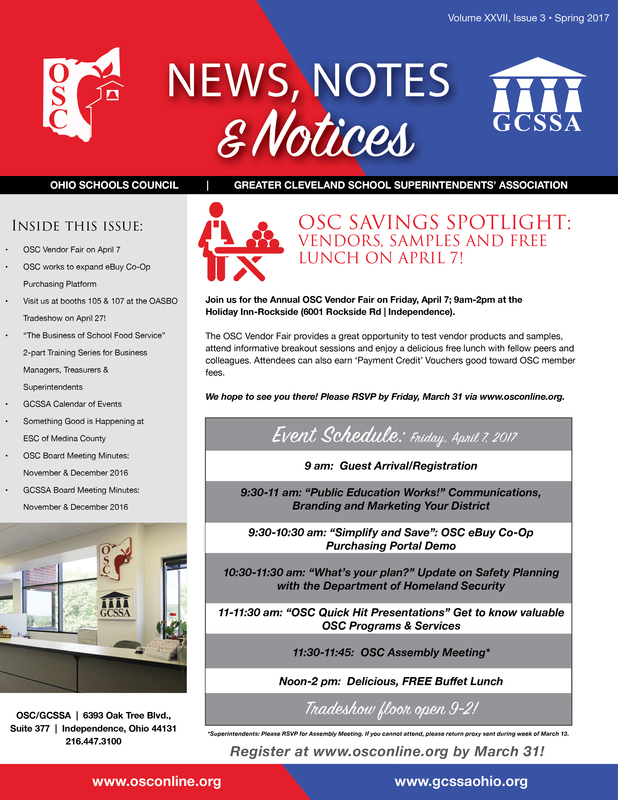 Stay informed of OSC news and information via the OSC “News, Notes & Notices” Quarterly Newsletter and OSC “Quick 3” Weekly eBlast. Would you like to be added to our distribution list? Email lnemeth@osconline.org!